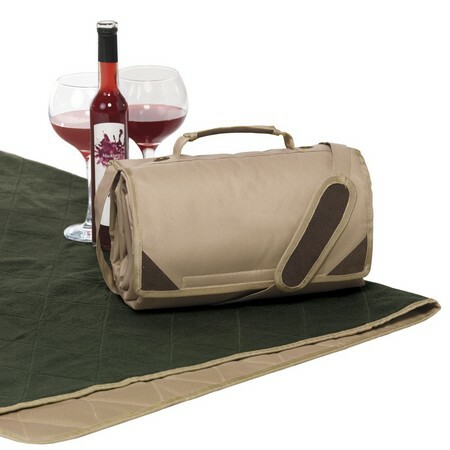 Ideal for camping, picnics, sporting events and as an emergency weather protector, this outdoor blanket has durable water resistant exterior in heavy 600D oxford polyester, lined with non-pilling micro fleece. Quilted design. Front flap has complementary corner detail in faux leather. Folds ups easily, with shoulder strap or carry handle. We bought the camping blanket for our son-in-law that lives in Austin Texas and loves outdoor concerts. The blanket is perfect. We love the size, color (khaki/moss) and quality. The zipper on the cover is plastic and is a problem, but overall we love the blanket. The Navigator can be customized with your logo! 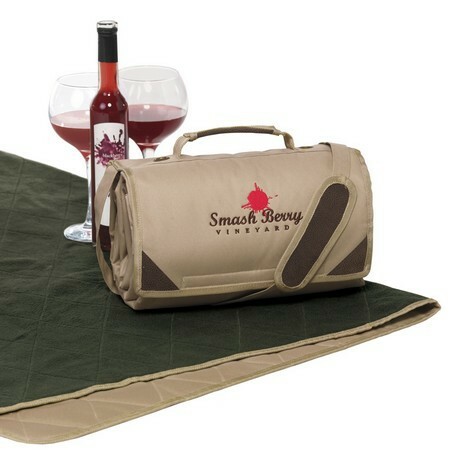 Custom picnic and recreational blankets make great corporate gifts, and are sure to be used and enjoyed for years.